During a hurricane, anything can happen, but rescue efforts are usually only days away. A few simple items can help rescuers locate you and keep you alive until they arrive. When preparing for a disaster just remember the 3 W’s: Water, Wellness, and (W?)Rescue. Fresh water may be hard to find, so stock up on bottled water or fill containers from the tap beforehand. Tap water stored in bottles will last for about 6 months before the chlorine dissipates and algae begins to grow. 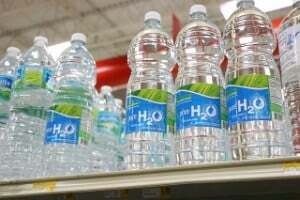 You might not be able to store as much fresh water as you need, or you may not have access to it during an evacuation or flood. It is a good idea to be able to purify drinking water. Filters, tablets, boiling*, distillation, and reverse osmosis are the most convenient ways. Note: Flood waters contain disolved chemicals, viruses, and sewage, so distillation and reverse osmosis are the only safe ways to purify flood water. Filters like the Sawyer Squeeze Filter and Lifestraw clean water based on particle size. They remove bacteria and dirt from water, but they do not remove viruses, dissolved chemicals, heavy metals, or other anything else that is smaller than the filter’s pore size. These filters are designed for backwoods camping not contaminated public drinking water, so they may not be enough depending on what’s in your water. Sawyer makes some of the best designed reuseable squeeze water filters, you can find them on Amazon here. Water purifying chemicals like chlorine and iodine will kill any living things in the water. This includes both bacteria and viruses, unlike filters. What they cannot do is remove anything from the water, so dirt, dissolved chemicals, heavy metals, etc will still be there. If you have iodine disinfectant at home, it purifies water just as well as commercial tablets. 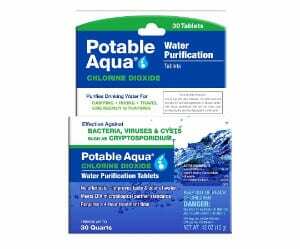 To find commercial water purification tablets check them out on Amazon. Boiling heats the water until everything dies. It will not remove anything from the water, so it is just as effective as tablets. The upside to boiling is that you do not need anything but fire and a metal pot. The downside is that you need fire and a metal pot. By heating up water until it evaporates, then condensing it back into liquid, you create pure water because it separates water from your mixture of gunk based on boiling point. 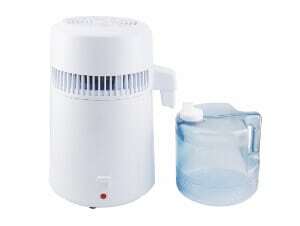 This will remove bacteria, viruses, heavy metals, dissolved chemicals, salt, etc from your water. The downside is that home distillers often require electricity or cold running water plus a heat source to work. Countertop distillers are available on Amazon. Without getting into technical details, reverse osmosis purifies water at the molecular level. By putting pressure on the contaminated water, it goes through a membrane and comes out clean. This removes any contaminants and makes it completely safe to drink. The downside is that the filters can clog if the water is too dirty, so pre-cleaning the mud out is a good idea. 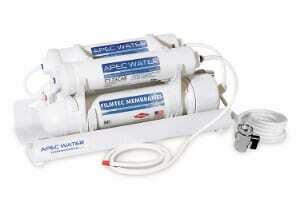 Reverse Osmosis filters require either electricity or water pressure from the tap depending on which product you buy. On Amazon you can purchase either water pressure reverse osmosis systems that connect to your faucet or electric reverse osmosis systems that plug into an outlet. Getting hurt during a catastrophe can be especially life threatening because help takes much longer to get there than the 15-minute average ambulance response times we’re used to. Make sure that you and your family can last until help arrives by having a well-stocked first aid kit. The most dangerous problem; needs to be stopped immediately. Tourniquets and Israeli pressure bandages are the best line of defense against external bleeding. Keep the airway open so that patient can breathe. Keeping the head tilted slightly back by lifting the patient’s chin will naturally open the airway. A punctured lung can be fatal if not treated within several hours. Chest seals and occlusive dressings will stabilize punctured lungs and prevent them from collapsing. Make sure the patient has good circulation and blood flow in their core by lying them flat and raising their legs above their torso. Gravity will help keep blood in the core where the vital organs are. This also helps to prevent hypothermia after blood loss. Hypothermia is a danger whenever water and/or blood loss is involved, even in warm climates. Water draws heat from the body much faster than air, so being wet can lower body temperature quickly. In the south where hurricanes hit hardest, cold may not seem like a danger, especially in late summer early fall. What IS dangerous is hypothermia due to blood loss. In situations where anything can happen, it is also a good idea to carry a tool designed for any situation. Multi tools are a solid addition to any disaster preparation kit. Aside from owning your own boat, a few easy items will help rescuers find you as fast as possible, your phone, a flashlight, and reflectors. Phones are incredible multipurpose devices that can call for help, light up the dark when the power is out, and play music while you wait for help on top of your house. The problem is that most phone batteries are only designed to last a day and in reality, they only last five hours. A portable battery bank is great to extend your battery life and many of us already have them, but also consider getting a solar charger. 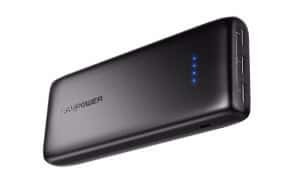 If you don't have a battery bank, I recommend this one I found on Amazon. Another great purchase is a waterproof case or bag. A waterproof bag is a good option because if you fill it with air, you can still use your phone, but it will also float on the water if dropped. I personally recommend this phone bag on Amazon. 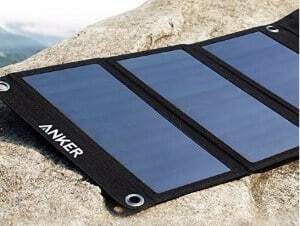 Solar chargers work even without direct sunlight and they can get your phone enough charge to call for help and browse the internet if the signal towers are still working. When choosing one, be sure to purchase the foldout kind that plugs directly into your phone or battery. Battery banks that come with solar cells built-in can take over 5 days of direct sun to charge because the solar cells are just not large enough. On Amazon, I recommend this solar charger. While phones have a flashlight built in, it is a good idea to buy a larger light that is at least 100 lumens. This will help rescuers see you better at night and it won’t waste your phone battery trying to signal for help. Consider getting a rechargeable flashlight to fill up from your battery bank/solar charger. I recommend this flashlight on Amazon. Mylar blankets are made of wonderful multi-purpose reflective material. Use them to signal for help during the daytime, and wrap up in them at night to keep warm. These blankets are cheap, lightweight, waterproof, and reflect up to 95% of body heat back to the wearer. Get a way to purify water. Different methods filter different things, so know which type you need based on what could be in the water. 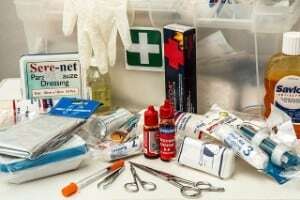 A good first aid kit will help you stay alive until help arrives. Bleeding and hypothermia make a deadly combination. Your phone, a flashlight, a solar charger, a battery bank, and reflective material will improve your chances of rescue during the day or night. Do N95 Masks and Respirators Really Work?